It didn't stop there before it was taken into Bucketscenter DMs. Buckets then shared the post with his almost 40k followers to let them know how much was being sensitive to his opinion. 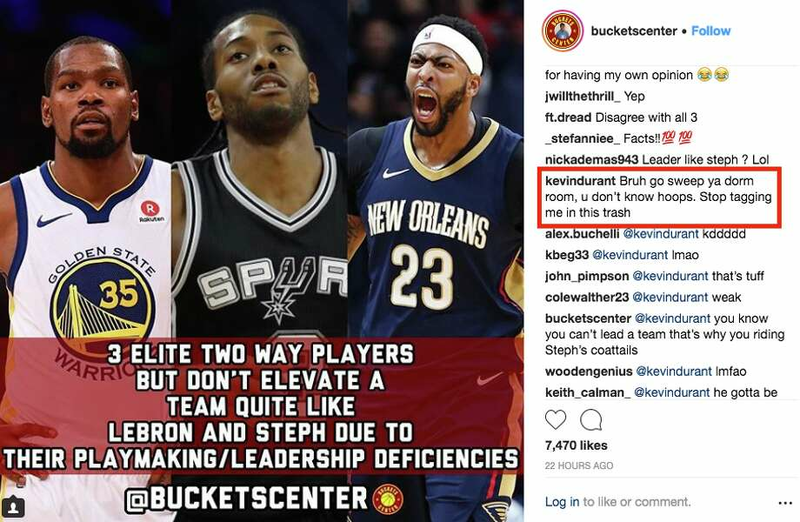 Was Kevin Durant correct in defending himself or was he being a little sensitive to constructive criticism? Check out the screenshots below and let us know what you think.